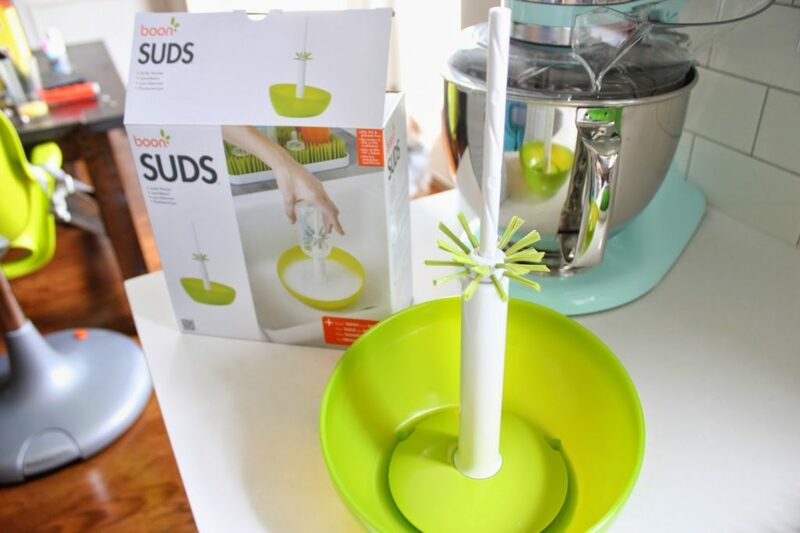 BOON SUDS BOTTLE WASHER REVIEW + GIVEAWAY!!!! We are big Boon fans over here! How can you not be? Modern design, beautiful colors and major functionality are all things that appeal to these two mamas. Boon was kind enough to send us their new SUDS bottle washer for us to try out. 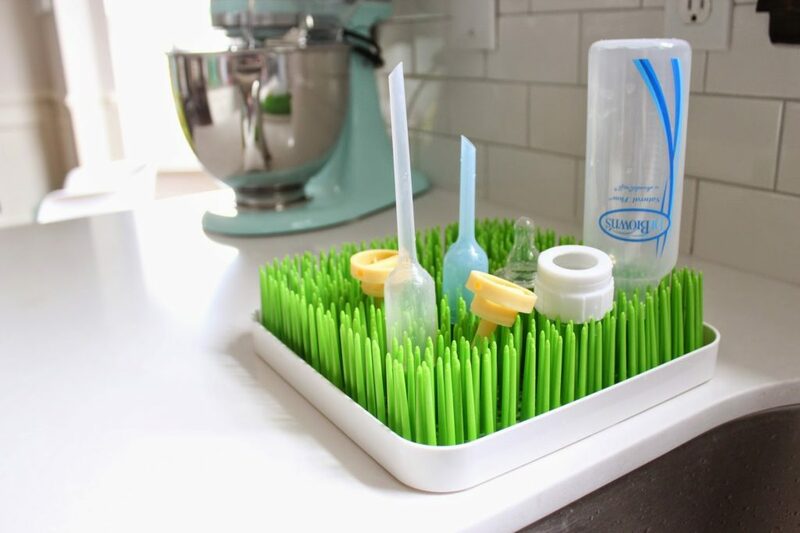 It is peeeeeerfect timing since I am cleaning bottles for our little one that is due in just weeks. I was so excited to try it out, even though I already knew it would be a love at first use kind of thing. 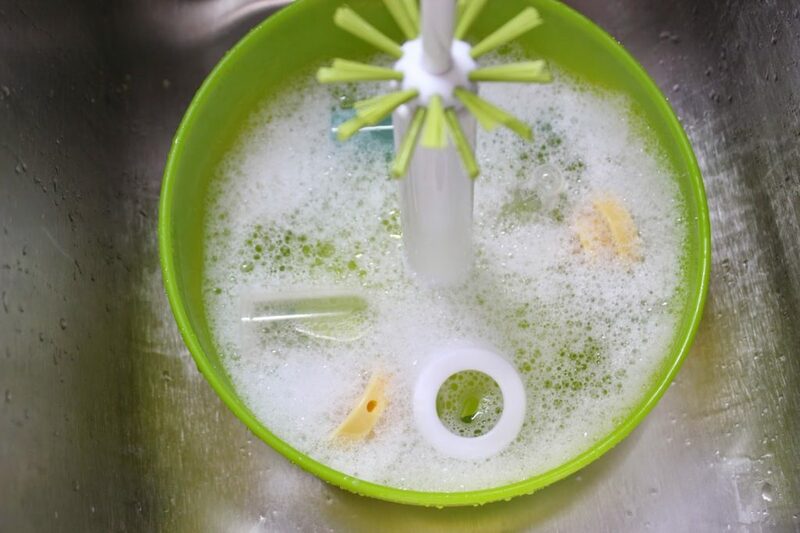 Dishwashers are great, but lets be real….. How many times do you go into the kitchen in the morning and need a bottle or sippy cup for your little, and realize you DID NOT run the dishwasher or you just still have a FULL SINK of dishes. There is nothing I hate more than a sink full of dishes greeting me in the morning. However… it happens! 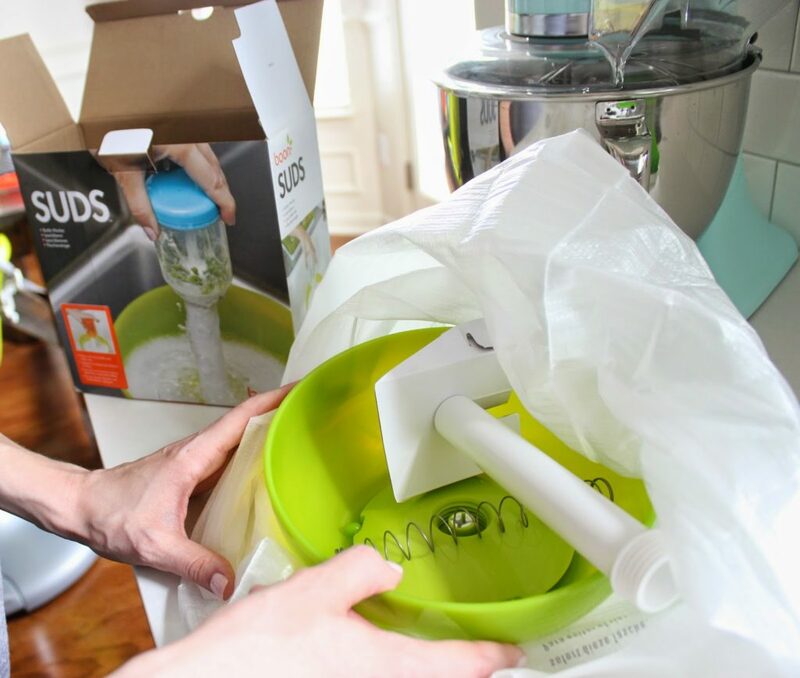 This SUDS friend of ours totally makes it a quick and slightly enjoyable process to clean a bottle quickly for your little. 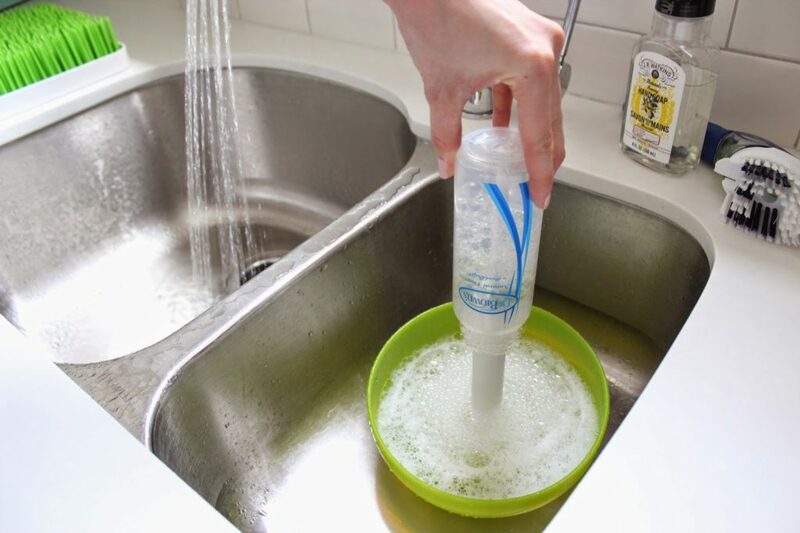 You simply put the bottle face down on the pump, and move it up and down so that the brush gets every inch of the bottle! GENIUS! Even my husband was intrigued!! Ladies…. this might be how we trick them into doing dishes?! My only wish for this little gem is that you could actually wash the small inner parts of the bottle. It would be great if there was a smaller brush attachment of some sort to actually do the smaller pieces of the bottle that the milk passes through. 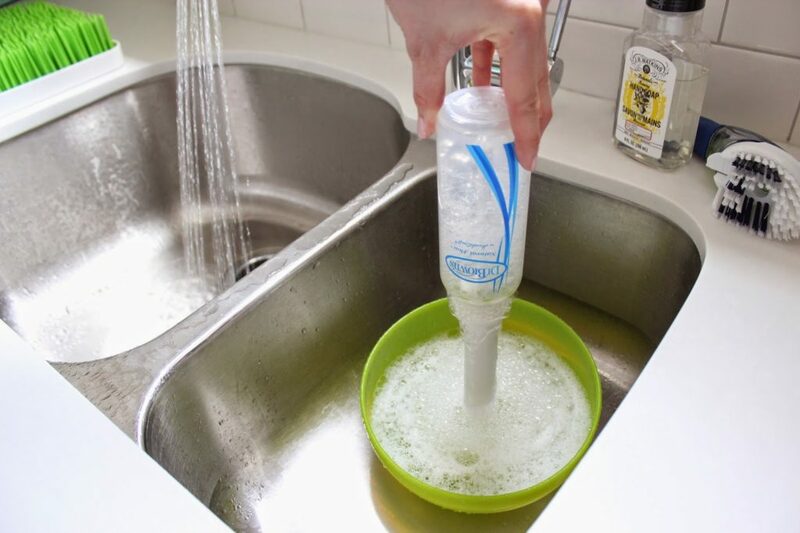 We use Dr. Brown’s bottles, which contain a couple of smaller pieces that need some scrubbing. However, I just toss those pieces in the bottom tray of the Sudsy, and it makes for a GREAT soaking tray! Sometimes, that may be all you need to get those small pieces clean. Thank you, Boon! We are forever fans, and we truly love all of your products for us moms and our littles. 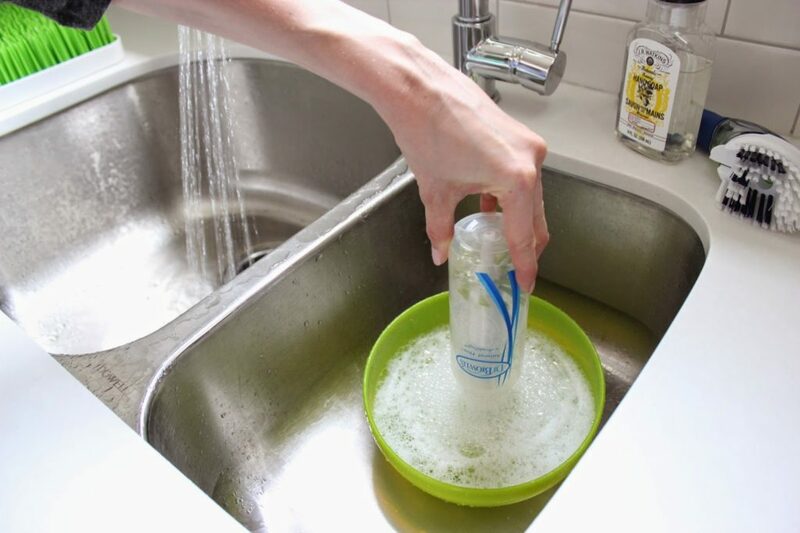 Boon was kind enough to offer a SUDS bottle cleaner to one of our lucky readers!! You MUST Follow Boon on Instagram and us of course! Tag a friend on our IG, and you are entered!!! For an additional entry, leave a comment below telling us what you FAVORITE Boon product is after visiting their website HERE. There is just too much pretty to look at!